Innkeeper, guide, officers, dragoons, citizens, boys, cigarette girls, gypsies, smugglers. Carmen is set in and around Seville, Spain, about 1820. Corporal Morales and a group of soldiers idly watch people come and go in the square. Micaela, a young woman from the country, attracts their interest. She is looking for a brigadier named Don José. Morales informs her that Don José isn’t there, but willl return at the changing of the guard. He gallantly invites her to enter the guardhouse to wait, but she finds it more prudent to come back later. Morales and soldiers resign themselves to watching the passersby again. The changing of the guard is heralded by a group of street urchins imitating the soldiers. Don José and Lieutenant Zuniga join Morales and the other men. Zuniga asks José about the pretty girls who work in the cigarette factory, but José isn’t interested in them. Zuniga then teases José about his interest in Micaela; José admits that he loves her. The cigarette girls come out for their break. They seductively smoke their cigarettes, to the delight of the men. Then Carmen, the gypsy, comes out of the factory, attracting all the attention to herself. The men beg her to tell them when she will love them; she replies, maybe never, maybe tomorrow, but certainly not today, for love cannot be captured so easily (“Habanera”). The men once again plead for her favors, but her eye lights on the inattentive José. She tosses a flower at him and, as the factory bell rings, runs off with the other girls. The crowd disperses. José, left alone, picks up the flower. He is annoyed at Carmen’s effrontery, but the flower is pretty and its perfume is sweet... The woman must be a witch. Just then Micaela arrives with a letter and some money from José’s mother. She also brings him a kiss from his mother, which she chastely bestows on him. The kiss brings back sweet memories of his mother and the village he came from (Duet: “Ma mère je la vois”). His reverie is interrupted by the recollection of Carmen, but he hopes the memory of his mother will sustain him. Micaela is confused by this, but he does not explain, instead charging her with a message of love for his mother. She leaves him to read the letter in private. As he reads it, he promises to marry Micaela, and curses Carmen. Suddenly, screams are heard from the factory, and the soldiers gather to restore order as the cigarette girls come out fighting wildly and calling for help. Some blame Carmen for starting a hair-pulling fight with one Manuelita; others blame Manuelita. Zuniga orders José to investigate. As the soldiers finally manage to calm the women, José returns with Carmen in custody; she has wounded the other woman. When Zuniga tries to question her, she merely sings “tra la la” and refuses to speak. Zuniga remarks that she can keep singing in prison. This delights some of the women, but Carmen strikes one of them, and Zuniga orders José to bind her arms and conduct her to jail. Carmen, unfazed, tells José that he will do her bidding, for he loves her. When he hotly denies it, she reminds him of the flower, and tells him that its charm has worked. He forbids her to talk to him, but she coaxingly invites him to come with her to Lillas Pastia’s tavern outside Seville, where she will dance the “Seguidilla.” José is finding it difficult to control himself, so he again orders her to stop, but when she tells him that he loves her, and that she could well love him in return, he is undone. He frees her, begging her to keep her word that she will love him. Zuniga returns with the order committing Carmen to prison. Carmen whispers to José that, on the way, she will pretend to push him; he is to turn around as he falls, and she will take care of the rest. She sings the “Habanera” to Zuniga as she leaves, then suddenly pushes José and runs off, laughing. Carmen and her friends, Frasquita and Mercedes, sing and dance a gypsy song for Zuniga, Morales, the soldiers, and other gypsies at the tavern. When the dance is over, Frasquita reports that the tavern must close up by order of the magistrate. Zuniga invites the girls to come with them, but Frasquita says they will stay, and Carmen won’t answer. Zuniga accuses Carmen of being annoyed with him because José was sent to prison. He informs her that José is now free, and Carmen is happy to hear it. As the soldiers are leaving, cheering is heard in the distance. Everyone joins in as Escamillo the toreador sweeps in and recounts his latest triumph in the corrida (“Votre toast”). He is immediately drawn to Carmen and gallantly asks her name so that he might have it on his lips during his next bullfight. She plays hard to get, but flirts with him nonetheless, annoying Zuniga, who leaves in a huff. Escamillo then departs, bringing the crowd with him. Now Carmen, Frasquita, and Mercedes meet with their co-conspirators, El Dancaïro and El Remendado, to plan a smuggling venture (Quintet: “Quand il s’agit de tromperie”). But Carmen will not come with them, because she is in love. The other four tease her, but she is firm. As she explains that the man she loves is a soldier who went to prison for her, José is heard singing a dragoon song in the distance. The gypsies look outside; Frasquita and Mercedes think him handsome, and Dancaïro thinks he’ll make a good smuggler. Carmen believes that José will refuse, but she promises to try to persuade him to come. The others then leave her to meet José alone. José is thrilled to see Carmen again after two months in prison, but becomes jealous when she tells him that she sang and danced for the officers. To calm him, she begins to dance for him, playing castanets. He interrupts her when he hears a bugle blowing, but Carmen thinks it a fine accompaniment and keeps dancing. José now insists that he must go to his quarters. Carmen flies into a rage, mocking him and throwing his equipment at him. He pleads with her, but she tells him that he doesn’t really love her. He forces her to listen to him, and, showing her the flower she had thrown to him, declares his passion for her (Flower Song: “La fleur que tu m’avais jeté”). Carmen still insists that he doesn’t love her — unless he comes with her to the mountains to live a life of freedom. He begs her not to make him do this. He nearly succumbs to her, but rouses himself and bids her farewell. As he is leaving, however, Zuniga knocks at the door. When no one opens it, he bursts in, sees José, and drunkenly chides Carmen for choosing a common soldier over an officer. He orders José to leave, but he refuses, and they begin to fight. Carmen calls for help. Dancaïro, Remendado, and the rest of the gypsies appear and disarm Zuniga. Carmen mocks Zuniga for his bad timing, for now they must keep him with them to avoid being caught. Zuniga submits with good grace and is escorted out. Now José has no choice but to accompany the gypsies, who celebrate their liberty. The gypsy smugglers cautiously make camp in their mountain hiding-place. Dancaïro goes to make sure the way is clear for them to transport their contraband. José, meanwhile, dejectedly thinks of his mother down in the valley. Carmen, annoyed, tells him to go home to his mother. José begins to threaten her, and she tells him that perhaps he will kill her. When he doesn’t answer, she remarks that it doesn’t matter, for fate is the master. Frasquita and Mercedes read their fortunes in the cards, but Carmen sees only death in hers (Card Scene). Dancaïro returns to report that the road is clear, but there are three customs agents nearby. He orders José to go up the mountain to watch their belongings. Carmen, Frasquita, and Mercedes merrily join the gypsies as they leave, promising flirtatiously that they will take care of the customs agents (“Quant au douanier”). Micaela now arrives; José’s mother has sent her to look for him. But she is afraid, both of the smugglers and of Carmen, and asks God for protection (“Je dis que rien ne m’épouvante”). She sees Jos in the distance and calls to him, but he lifts his gun and fires. She hides. José arrives, holding Escamillo at gunpoint. He introduces himself to José, who recognizes his name and greets him warmly, warning him that he ought to be more careful. Escamillo explains that his foolhardiness is due to his being in love with a gypsy -- named Carmen. 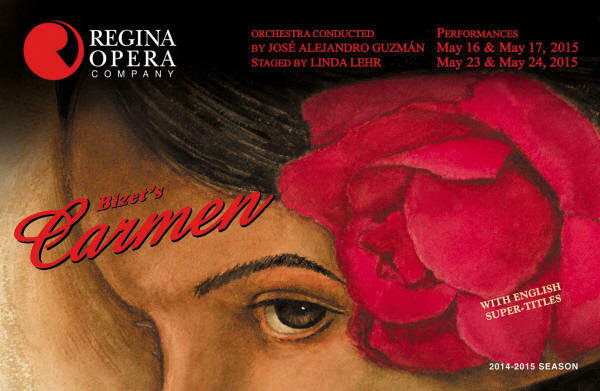 José suppresses his shock as Escamillo relates that Carmen had loved a soldier who had deserted for her, but the affair was now over, for Carmen’s loves don’t last more than six months. When José asks Escamillo if he loves Carmen himself, he declares that he loves her madly. José warns Escamillo that one must pay for taking a gypsy from her people, and when Escamillo gaily replies that he is willing to pay, José pulls out a knife. Escamillo realizes that José is the soldier who loved Carmen and takes out his own knife. José manages to get the advantage of him when Carmen and the other gypsies arrive and stop the fight. Escamillo is charmed to have Carmen save his life and invites everyone to the bullfight — especially those who love him. He ambles off as Dancaïro and Remendado restrain José. José warns Carmen not to push him too far. Everyone is about to go on their way when Remendado notices a woman hiding nearby. He pulls her out, and José is shocked to see Micaela. She explains that she has come to find him for his mother’s sake and begs him to return home. Carmen urges him to do so, for their work is not for him. José accuses Carmen of wanting to run off with a new lover and declares that they will never be separated. Micaela continues to plead with him as the gypsies warn José that staying may cost him his life. He stands firm until Micaela reveals that his mother is dying. As he leaves, he tells Carmen that they will see each other again. Just then, Escamillo is heard in the distance singing his toreador song. Carmen tries to go to him, but José threateningly bars her way. Then he goes off with Micaela. Peddlers hawk their wares as the crowd waits for the bullfight to begin. A group of children rush in to announce that the procession of toreadors is on its way (“Les voici! Voici la quadrille!”). Bringing up the rear is Escamillo, with a richly-dressed Carmen on his arm. They declare their love for each other. Escamillo enters the stadium. Carmen is about to follow him, but Frasquita and Mercedes warn her that José is hiding in the crowd. She sees him, but she is not afraid; she will wait and speak to him. The girls urge her to be careful and follow the crowd into the stadium. Carmen calmly faces José and tells him that she is not afraid of him. He replies that he is not there to threaten her, but to beg her to come away with him. But Carmen tells him that it’s all over between them. José desperately pleads with her, but she refuses, even knowing that he will kill her. He still cannot believe that she doesn’t love him anymore; he offers to become an outlaw again and do anything she wants if she will only stay with him. She refuses to leave, for she was born free and will die free. When she hears the crowd inside cheering Escamillo, she tries to enter the stadium, but José stops her and, in a rage, asks her if she loves Escamillo. She defiantly declares that she does and frees herself. José stops her again and asks, for the last time, if she will come with him. Once again, she refuses, and contemptuously throws away a ring he had given her. As the crowd again cheers Escamillo, she turns to go into the stadium, and José stabs her. He falls to his knees beside her body, and, as the crowd files out of the stadium, he confesses that he killed her, and despairingly calls out to her.